A figure hugging fistail dress made up of mikado satin. 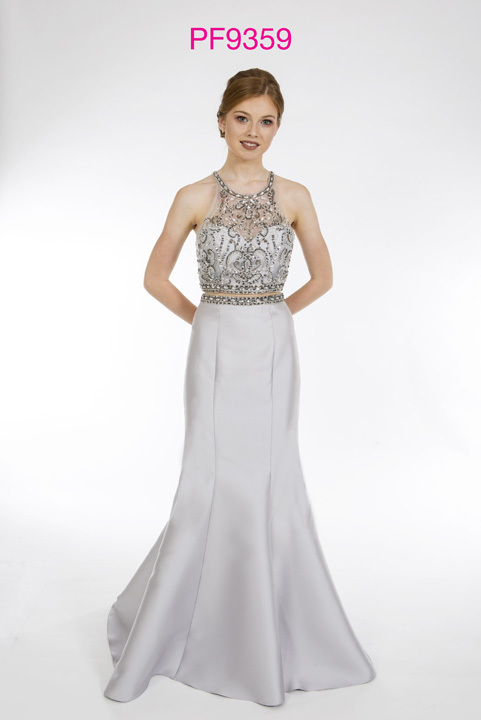 Fitting tightly over the hips and flaring out at the knee, this prom gown will show off all your curves. The racer neck bodice is adorned with beads and sequins.